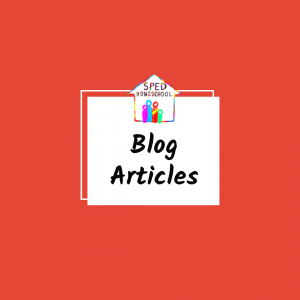 SPED Homeschool has partnered with some wonderful homeschooling organizations. 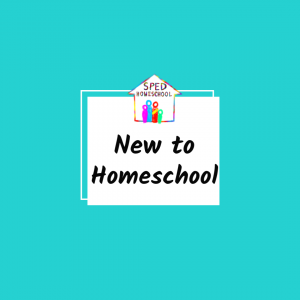 Click on the links below to discover how these groups can help you in your homeschooling endeavors. Are you interested in partnering with us as a homeschooling organization? Follow the link below to learn more about this opportunity. A nonprofit ministry to defend and advance the constitutional right of parents to direct the education of their children and to protect family freedoms. HSLDA offers legal assistance to member families as well as dedicated struggling learner specialists. A feature-length documentary is to encourage and equip homeschool families. The film features the advice and perspective of education experts, curriculum developers, college and university faculty and administrators, and homeschooling families. 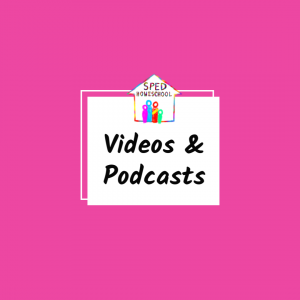 In addition to the film, the Schoolhouse Rocked blog, podcast, and Backstage Pass members site offer excellent homeschooling articles, interviews, videos, and more. The mission of the Christian Home Educators Association of California is to advance the Kingdom of Jesus Christ by promoting private Christian home education as an outstanding educational opportunity; providing information, training and support to the homeschool community; and protecting the God-given right of parents to direct the education and training of their children, to the glory of God. TEACH is an all-volunteer, statewide 501-c3 non-profit organization whose purpose is to further the interests of home education of children by their parents. To accomplish this, TEACH provides information and services to homeschooling families and support groups in Connecticut. All sponsored activities and publications are consistently Christian and dedicated to the honor and glory of God. EPIC HSN is a faith-based educational 501(c)(3) nonprofit organization. Our vision is a world where home is the first school and our mission is to enrich, enhance and empower home education in the community. We provide scholarships, field trips, and other enrichment to support home education. The Indiana Association of Home Educators (IAHE) is a not-for-profit organization, founded in 1983, which supports and encourages families interested in home education. We define home education as parent-directed, home-based, privately-funded education. Our primary functions are maintaining visibility as home educators with civil government leaders, influencing the legislative process to protect our freedom to home educate, publishing information of interest for home educators, and sponsoring seminars and events to encourage families. We host an annual homeschool conference, graduation ceremony, and Capitol Day, as well as sponsoring an information-packed website and various social media offerings. We offer resources on home educating in Iowa, referrals to local homeschool groups and supervising teachers, and assistance from our Regional Representatives and Special Needs Advisors. We also maintain an Advocacy Team that monitors legislation and promotes the positive aspects of homeschooling in Iowa. Louisiana’s largest state homeschool organization that Protects, Promotes and Provides Support for homeschool families since 1983. Homeschoolers of Maine (HOME) is the premier non-profit organization dedicated to preserving, protecting and promoting homeschooling in the State of Maine. We define homeschooling as a home-based education that is both parent-directed and privately funded. Nevada Homeschool Network (NHN) advocates for homeschool freedom and the fundamental right of parents to direct the education their own children as they see fit. It is our intent to respond to the wishes, concerns, and interests of the homeschooling population as well as report on legislative, legal, and other matters relevant to homeschooling and family education in Nevada. The North Dakota Home School Association is the only statewide homeschool organization in North Dakota. Our mission is to provide a comprehensive home education information system to support, train and protect every willing North Dakota individual, family, and church in the methods of privately funded, parent-directed home education. To accomplish this the NDHSA provides oversight of the legislative process relative to home educators; hosts an annual convention featuring nationally-known speakers, large vendor hall, dozens of workshops, used-book sale, art exhibit and support group leaders’ banquet; sends a monthly e-newsletter; publishes a statement of intent in conjunction with HSLDA; and fields hundreds of homeschool-related questions via mail, email and telephone. CHAP is a nonprofit organization which began in 1986 to encourage and support families interested in home education. CHAP assists parents in understanding and fulfilling the law’s requirements. 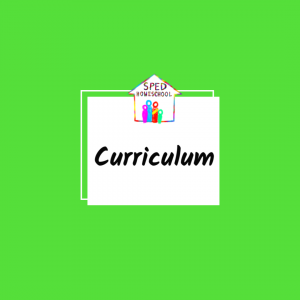 Our mission is to equip, connect, encourage, and protect those interested in homeschooling. A statewide homeschool service organization. We promote homeschooling, partner with groups, & serve the homeschool community. For 30 years, the Texas Home School Coalition (THSC) has worked tirelessly to advance homeschooling and protect parental rights in Texas. As the state organization for homeschooling, we promote understanding and acceptance of home education, protect and advance parental rights, and encourage and assist homeschoolers. THSC also offers all SPED Homeschool Facebook Support Group members a discount on yearly membership fees. Ask in the forum for the discount code. Home Educators Association of Virginia is a member-supported, statewide, 501(c)3 non-profit homeschool association. Since 1983, HEAV has successfully worked to promote and protect home education in Virginia by working with the Department of Education and legislators, having a presence during the General Assembly sessions, and providing up-to-date information to homeschooling families, the media, and officials. HEAV, coming from a biblical worldview, serves all homeschoolers—regardless of religious or philosophical beliefs. Membership is, and always has been, open to all. With a full-time office staff and hundreds of dedicated volunteers, we’re ready to answer your questions, offer support, and serve your needs year-round—just give us a call (804-278-9200) or send us an e-mail. The purpose of Homeschoolers of Wyoming (HOW) is to serve the Lord Jesus Christ by supporting and encouraging families interested in home education and family discipleship. We define homeschooling as parent-directed, family-funded, home education of children. We are a non-profit organization founded in 1996. Our primary functions are maintaining visibility and influencing government leaders to protect our freedoms to homeschool, publishing information of interest to homeschoolers, and sponsoring seminars and events to encourage and promote discipleship in families.